There are so many creative ways to say sorry. Adding your own special touch to your apology can make all the difference in getting things back on track. Get inspired by these tried and tested ideas for saying sorry and apologizing. A gift is like icing on a cake when it comes to apologizing. 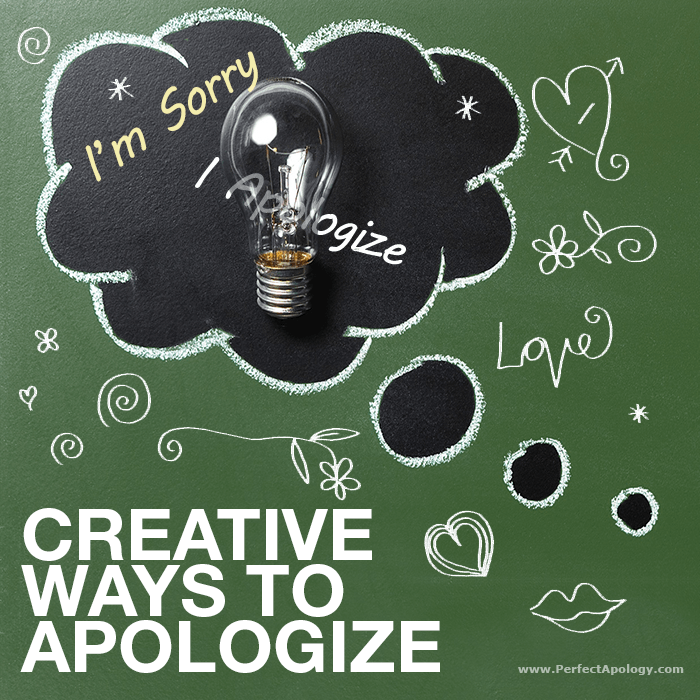 They absolutely aren't necessary for an apology to be effective but they do add that extra touch—it's what makes them so special and something to consider when thinking about ways of saying sorry. The fact that they aren't necessary or expected AND that you offered one anyway, shows the recipient that you put extra effort in trying to make things right again. Just make sure when giving a gift that it is given WITH an apology and is not THE apology itself. Inspired by our own research as well as some ideas from our readers, we've come across some interesting gift ideas for saying sorry that show the recipient that you went out of your way to find something special. This first gift idea comes from Dave (one of our website visitors) and adds a huge wow factor when apologizing in a relationship. 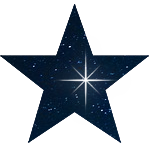 You can name a star through the Online Star Registry (yes, a real star... and name it after the two of you and declare your union to the world). Give your partner the star along with your apology and tell them how brightly they shine in your heart. This one tops our list of great and personalized ways to say sorry. Read about Dave's experience with this unique gift. 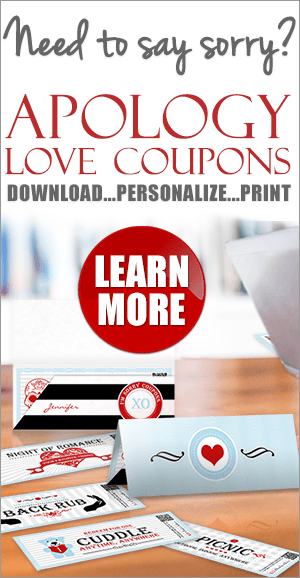 Inspired by Dave's creativity, another website visitor decided to create a booklet of love coupons for his significant other, offering various things that would be redeemable whenever her heart fancied. 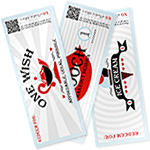 He shared his success with us and we were so inspired by his creativity that we hired professional graphic designers to create the ultimate package of Apology Love Coupons so that we could offer them to our website visitors. It's another great gift idea for saying sorry to the one you love. The old romantic standards of apology flowers and gift baskets, are always effective and appreciated for personal relationships and even in business. That's why they've become standards but make sure to take the time though to choose the right ones. Flowers have a great deal of symbolism and meaning so know which flowers to buy and what colors to get. As for gift baskets, there are so many available on the market so be very selective when choosing one as an apology gift. Want more creative romantic ideas for saying I'm sorry and I love you? Then check out our full list of romantic apology gifts and ideas. And for those of you looking for that "classic" apology gift, jewelry is the way to go. This is most appropriate for intimate relationships and is supported by a survey conducted by a jewelry company in the US who found that a substantial amount of their customers bought jewelry as a way of saying sorry. For this type of extra-special gift, we like Reeds.com. They're a great company, completely trustworthy and have been in business since 1946. They offer everything from discount jewelry to diamond rings, fine jewelry, designer pieces like Pandora and more. They even offer a heart-shaped cut diamond and other heart pieces which are perfect for saying sorry to that special person in your life. 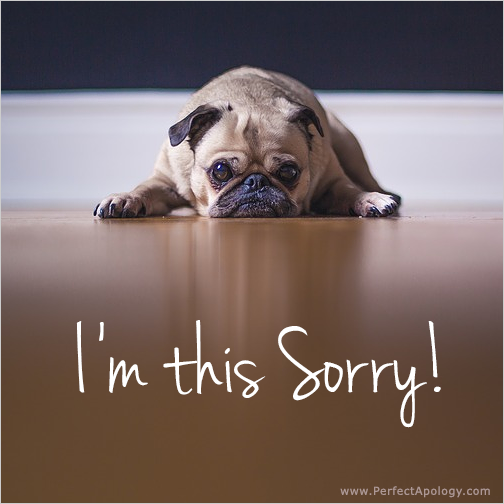 Sending e-cards is another alternative when considering ways to say sorry. They offer a quick way to extend an apology for minor infractions and can contain long heartfelt messages or be a simple 'sorry' image or meme like the one below. For more serious infractions, e-cards can be used as a vehicle for extending an invitation to a meeting where you can then deliver a verbal apology. When choosing an e-card or greeting card, think about an appropriate (and relevant) image or sentiment related somehow to you, the injured party, or your situation. It will show that you took time and gave thought to the choice that you made. Greeting cards are also useful for adding a special touch to an apology. Because we associate receiving one with a special occasion or memorable event, they add a level of importance and suggest that your apology is heartfelt. A poem has long been considered one of the most thoughtful, symbolic, and romantic ways to communicate ones feelings. They capture the essence of a person's thoughts and often invoke an emotional or sensual response. When thinking about ways to say sorry however, a poem or some poetry alone is almost NEVER a sufficient alternative to a good and meaningful apology. This is a common mistake. Obviously, the perfect apology can only be tailored to your particular situation, so poetry alone is not likely to do the trick. Use poetry to let the person know how important your relationship is, but frame the poem with a well crafted verbal or written apology appropriate to the circumstance. For example, if you'd like to include poetry when apologizing to your sister, then add a poem that really highlights the important bond that siblings share. And when apologizing to your boyfriend or girlfriend include a romantic, touching and heartfelt love poem that speaks to something special or unique about your relationship. Finding the right poem is NOT always easy, so take the time to read through a few and find the right one for you! Here are some examples of poems that are appropriate for saying sorry and how to use them as part of your apology. Using quotations can also help to illustrate a point and enrich your apology. But just like poems, quotes should be used to support your apology and NEVER be the apology itself. On our quotes page we provide a few good examples of quotes for saying sorry and what situations they're best suited for. 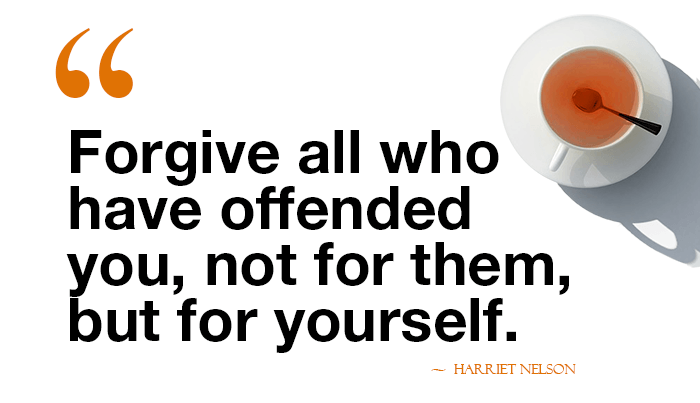 We also have other pages on quotes that surround apologies and saying sorry. 1 | Apology quotes by famous people. 3 | Quotes on Regret, a common emotion when we've hurt someone. Quoting song lyrics in a letter can also enhance an apology, for many of the same reasons as mentioned above. The added advantage of using song lyrics is that you can include the song on a custom made CD (or, even better, an Ipod) as a gift to go along with the apology. For one, the band Chicago's song "Hard to say I'm sorry" has some beautiful lyrics about promising to make things right again. “After all that we've been through, I will make it up to you. I promise to. There are so many great ways to say sorry. Finding the right one for your situation requires a little thought and planning. But adding that little 'extra something' to your apologies will pay off big time! Learn about romantic apologies and the best ways of saying sorry in intimate relationships. Also, be sure to check out some of the apology ideas submitted by our readers—they're sure to inspire.